A new and welcome addition to our middle school grades’ curriculum comes from Connected Mathematics. Connected Mathematics (CM) was developed by an esteemed group of educators at Michigan State University. 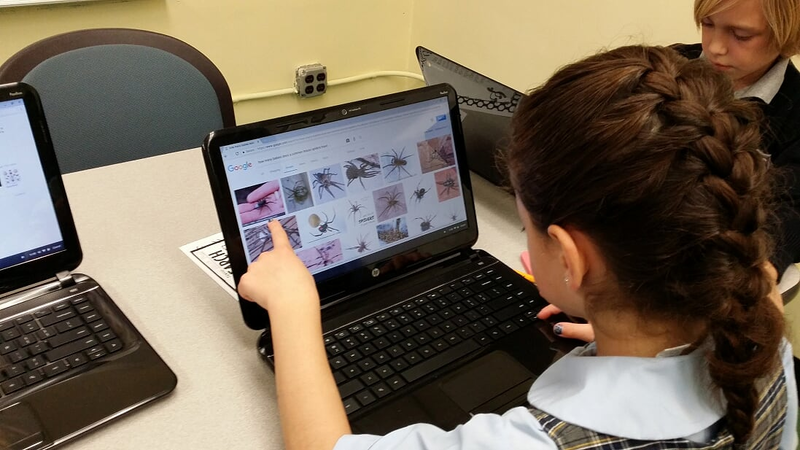 It is a problem-centered math program promoting inquiry-based teaching and learning. Mathematical ideas are identified and laid out in a sequence of tasks to explore topics in-depth and to develop rich mathematical understandings and meaningful skills. 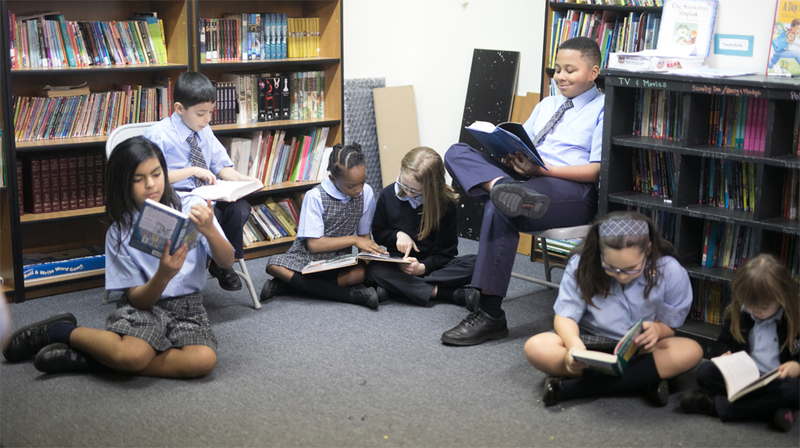 CM conforms completely with the NJ Core Standards for Mathematics as well as the Archdiocese of Newark Core State Standards for Mathematics. Extensive research and evaluation over 27 years show that CM students out-perform non-CM students on reasoning, flexibility, problem-solving, and do as well or better on procedural skills. Recent studies also show that CM students are more likely to have positive attitudes toward mathematics than non-CM students, as well. We are excited to be adding CM to our program for grades 5 through 8. In the spirit of Christmas, what could be better than giving? As a service project, the Transitions and Kindergarten classes hosted a pajama drive sponsored by Scholastic. We collected 174 pajamas in various sizes for less fortunate children. For every pair of pajamas we collected, Scholastic will donate a new book. With the help of the first floor, we were able to give 174 less fortunate children an opportunity to have a warm filled night with a bedtime story. at the back of the school. The class experimented with different apple sizes and colors for their boats. They had a great time watching their apple boats float while also learning about buoyancy and density. Fun fact- apples are 25 % air-that is why they float. Transitions learned the story of Noah’s Ark. We learned, to always listen to God despite what people may say or the judgement that will follow. Noah was faithful to God; he built the ark and filled it with two animals of each kind. Shorty after it rained for forty days. Transitions wanted to show exactly what we learned! We used Stem to build arks of our own as a religion project. The students colored 3D animals and painted paper plates (one brown and one blue). 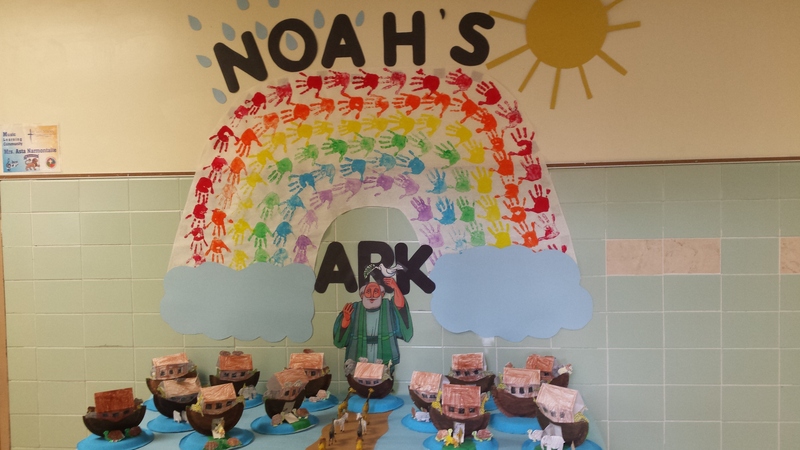 With lots of time and glue, they constructed their own arks! As a finishing touch to God’s beautiful promise, the kids used their hands to make a Rainbow.